Lonnie Davis McCauley was born in Cleveland on September 19th, 1947. She attended high school at Lourdes Academy, received a B.A. in sociology from Cleveland State University, and a Master’s Degree in Library Science from Kent State University in 1999. As part of her master’s program, Lonnie interned at the prestigious Trinity College in Dublin, Ireland, achieving a lifelong dream, and also published her thesis, “The Irish Directory of Greater Cleveland”. Lonnie had a long and active history promoting Irish Culture and History with the Irish community in Cleveland dating back to 1981 when she was appointed the Public Relations Secretary for the Irish-American Club, East Side. She achieved her greatest honor when she was chosen as the Grand Marshall of the 2001 St. Patrick’s Day Parade, the first woman to have that honor in its 134-year history. At that time she was working as the first Irish-American Archivist at the Western Reserve Historical Society and was a seven year member of the Irish-American Archives Society. Lonnie served on the Irish Famine Memorial Committee and in September, 2000 presided over the dedication of an 11-ton Celtic cross that was erected in the Flats in memory of the millions of Irish who died or were forced to emigrate during the famine. At the East Side Club, when not busy raising five children with her husband Tom, Lonnie helped found the Padraic Pearse Center in 1985 and served as its first President and held that position for seven terms. Under her direction, the center started the first Irish-American library in Cleveland. Years later she helped found a second Irish-American library at the West Side Irish-American Club. At the East Side Club Lonnie started the production “Voices of Ireland”, a presentation of Irish poetry, songs, music, recitations, dance and drama, which was performed for seven years to the Irish community. She was also instrumental in starting Irish language, adult Irish dance and bohdran lessons, and facilitated an Irish speakers program at the club. 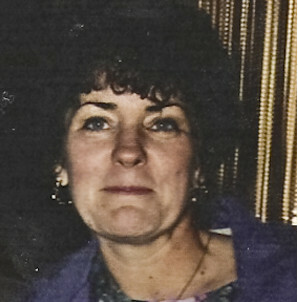 Everything Lonnie did she did with a passion – so she not only loved poetry, but wrote and recited poetry; she not only loved Irish music and dance, but took Irish Ceili lessons and danced with the Irish Adult Dancers in competition, as well as with her daughter Caitlin, in the Cleveland Feis. And, of course, she took the bohdran lessons and was a member of the founding board of the Irish Music Academy of Cleveland.